Clarks is a family-owned business that’s grown into the world’s largest brown shoe company over its nearly 200 year history. Its Americas headquarters recently moved from Newton, Massachusetts to neighboring Waltham. Though the two offices are just a few miles apart, the new Waltham building has fewer nearby lunch options than people were used to. 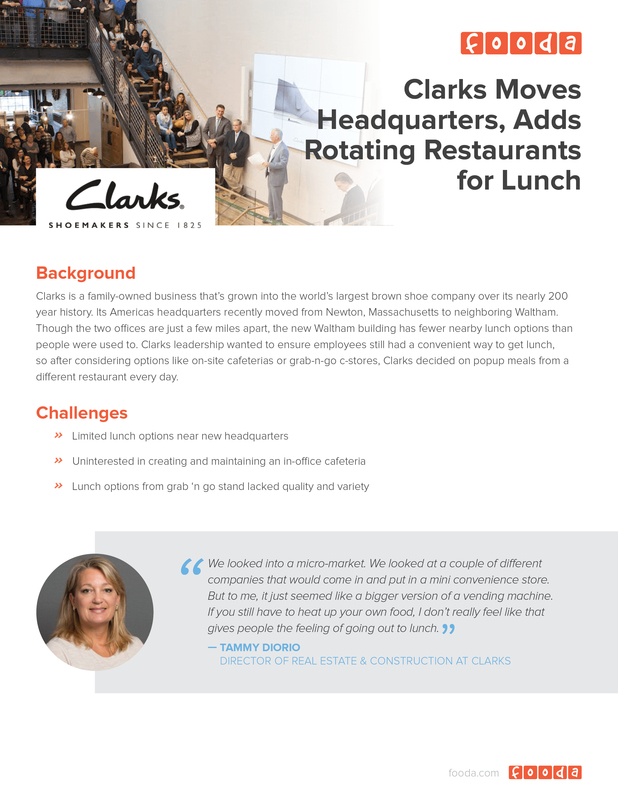 Clarks leadership wanted to ensure employees still had a convenient way to get lunch, so after considering options like on-site cafeterias or grab-n-go c-stores, Clarks decided on popup meals from a different restaurant every day.